Ebiobox mixed with the fuel generates an increased power release in the combustion. This happens because of the catalytic reaction described above, which achieves a perfect combustion. At the same time, the decrease of combustible ingredients and of combustion gases results in a greater energy productivity because of their combustion. This is due to the fact that there is an increase in combustion efficiency (R), an energy that can be obtained from the combustion corresponding to the calorific value (PC) of the fuel input. A decrease in energy loss related to combustibles: It corresponds to the unwasted calorific value results from lowering combustibles. Combustion Products Enthalpy (Qhs): It corresponds to the energy that is no longer wasted on warming up the fumes to the point where they reach a temperature at which it releases inefficient combustion gases. To sum up, the lower the loss related to combustibles (Qi) and the loss connected to fumes heating generated by inefficient combustion (Qhs), which Ebiobox manages to achieve, the better the combustion. Therefore, we can declare that, as a consequence of the performance improvement, there is an Energy Saving. 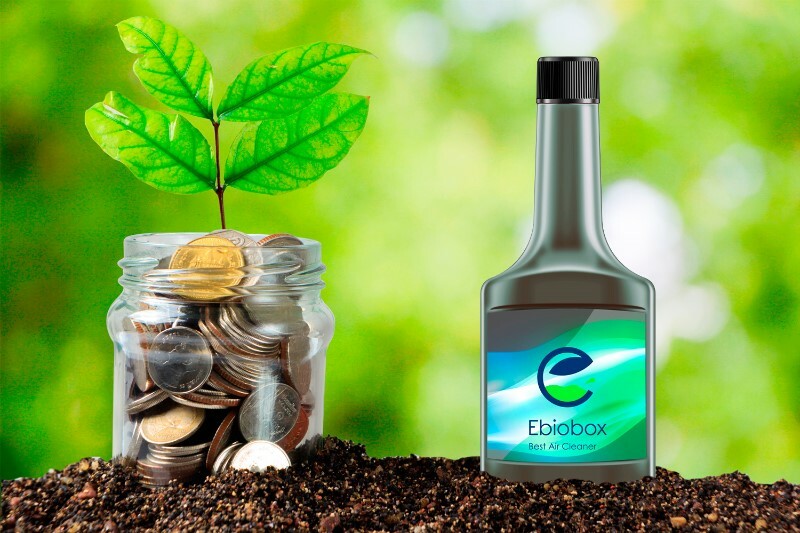 Experience has proven that, in all the cases, the fuel power saving is greater than the cost of the Ebiobox. Accordingly, in general terms, the energy efficiency also translates into an economical saving.